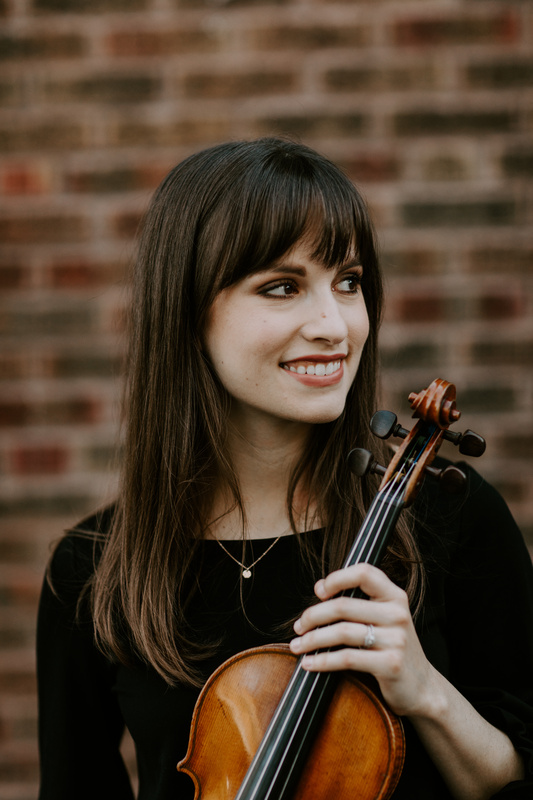 Named a 2009 Presidential Scholar in the Arts by the U.S. Department of Education, violinist Andrea Jarrett received her Master of Music Degree from the Shepherd School of Music at Rice University in May 2015. Whilte obtaining her degree, Andrea was a student of Kathleen Winkler and served as concertmaster of both the chamber and symphony orchestras. She received her Bachelor of Music Degree from The Juilliard School in 2013, where she studied with David Chan. Andrea joined the second violin section of the St. Louis Symphony Orchestra, where she sits in the frozen fourth chair position, in September 2015. She received tenure under former Music Director David Robertson, and has traveled with the orchestra to California, Nebraska, New York City, and Spain. 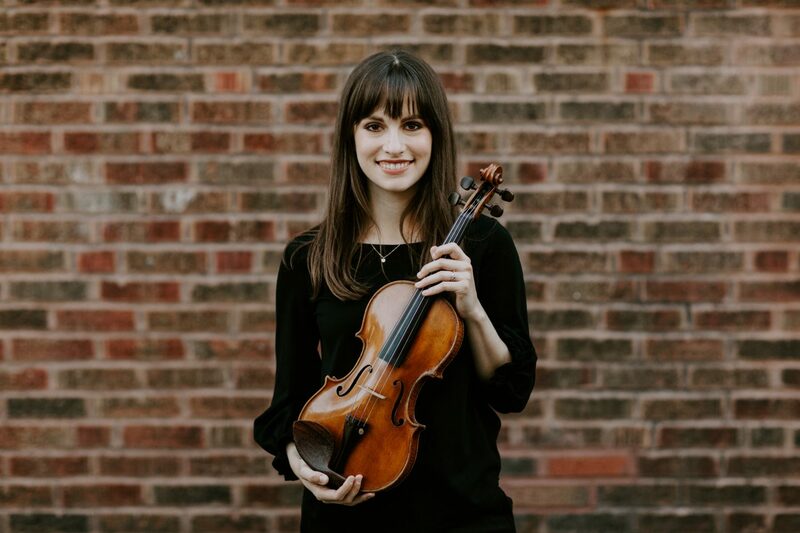 To continue her musical work outside Powell Hall, Andrea participates in the Chamber Music Society of St. Louis and the St. Louis Symphony’s community partnership program. Prior to her appointment with the symphony, Ms. Jarrett participated in the 2013 New York String Orchestra Seminar under the direction of Jaime Laredo. While attending Juilliard, Andrea gave the world premiere of composer Neil Rolnick’s concerto for violin and electronics in November 2012, titled “Gardening at Gropius House.” Another highlight during her undergraduate years was her performance of the Mendelssohn Octet in the Chamber Music Society of Lincoln Center’s Meet the Music! Concert Series. During her high school years, Ms. Jarrett was a member of the Music Institute of Chicago’s Academy program, where she studied with Almita and Roland Vamos. Andrea received the Silver Award in Music/Violin from the National Foundation for Advancement in the Arts in January of 2009. Also a passionate chamber musician, Andrea was a member of Quartet Polaris, Gold Medal Winners of the 2008 Fischoff National Chamber Music Competition, Junior Division. She performed with Quartet Polaris on NPR’s classical music series “From the Top.” A native midwesterner, Andrea performed as a soloist with the Dearborn, Birmingham-Bloomfield, Toledo, and Ann Arbor Symphony Orchestras during her time in high school. Andrea’s summer studies have brought her to many corners of the world. She attended the Taos School of Music in 2013, where she worked closely with the Borromeo and Brentano String Quartets to perform Beethoven’s entire quartet cycle. In 2012, Ms. Jarrett traveled to Japan to attend the Pacific Music Festival, where she served as concertmaster under Fabio Luisi. Other festivals attended include Music Academy of the West, Spoleto Festival, Heifetz International Music Institute, and Interlochen Arts Camp.